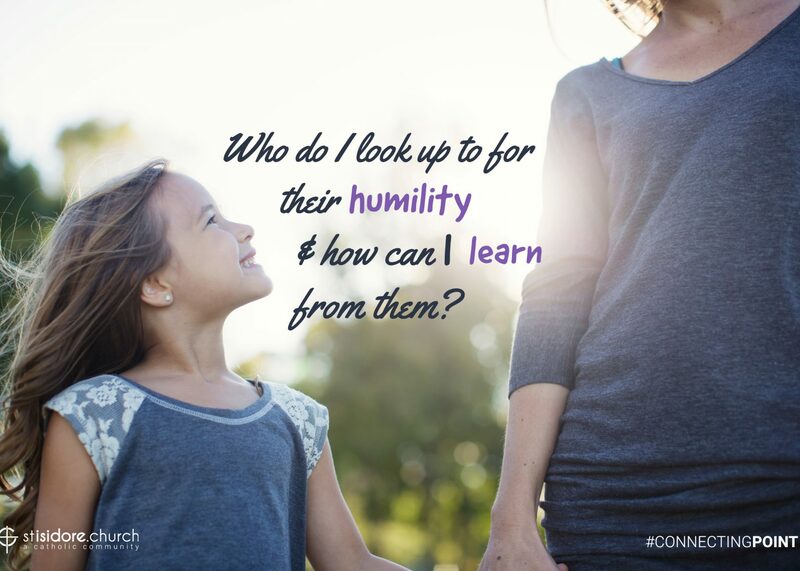 Who do I look up to for their humility, and how can I learn from them? Like most people, I look especially to people in my own profession. The priests, parish priests in particular, who have best exemplified this virtue for me, interestingly, have mostly been German-Americans: my boyhood associate pastor Edmund Miller, my Jesuit mentor Jim Hasse, and a longtime close friend of myself and my family, Jim Von Tobel. (All deceased.) Plus one very much living Belgian, Fr. Victor– I’m not just saying that because he’s my current boss, and I’m sure all of you would agree with my assessment here. There are some priests, including some Jesuits, who act as if their priesthood gives them some sort of exalted status. Obviously, these are not the sort of priests I’m talking about here. The priests I am describing are priests who are not ashamed to coach a school basketball team, teach a religious ed class, put together a Christmas Pageant or Passion Play, cook for large groups of people, do some gardening around the church or cleaning in the rectory, straighten things up inside the church, even do a little snow shoveling or lawn mowing as needed. Or, in inner-city or inner ring suburban neighborhoods, just hang out on the porch talking with people in the neighborhood, making the rectory a place where folks feel free to just drop in. Sometimes in my various assignments, in parishes that are further from the city and more affluent, when I have tried to emulate these priests in various ways, I have almost been interrogated about it. “What are you doing shoveling snow, Father? That’s not your job.” Things like that. But while almost every parish has a maintenance and facilities staff, there are always some things that happen after hours, tasks that fall through the cracks, or things we would rather not bother the maintenance staff with. And there are things like cooking that pertain to hospitality. A priest should never feel that he is above doing things that any ordinary homeowner might do, and never shy away from the ministry of hospitality. He should be willing to do almost anything that furthers the ministry of the parish and the building of the kingdom. This for me is one of the hallmarks of humility for those of us in priestly parish ministry.